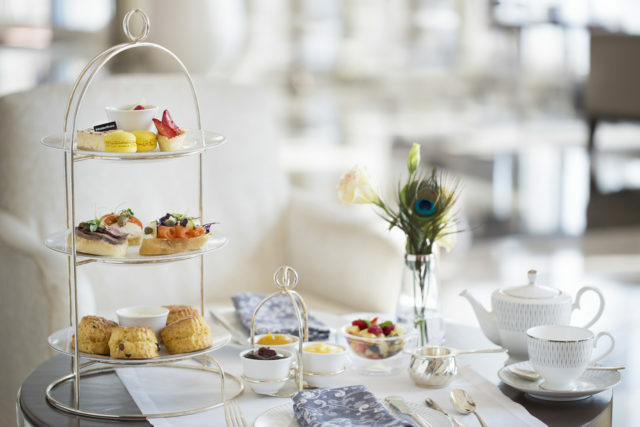 Looking for the best places for afternoon tea in Dubai? From afternoon teas with 24-karat gold to afternoon tea experiences with spa-cation packages, here are five of our favourite picks to try this month. 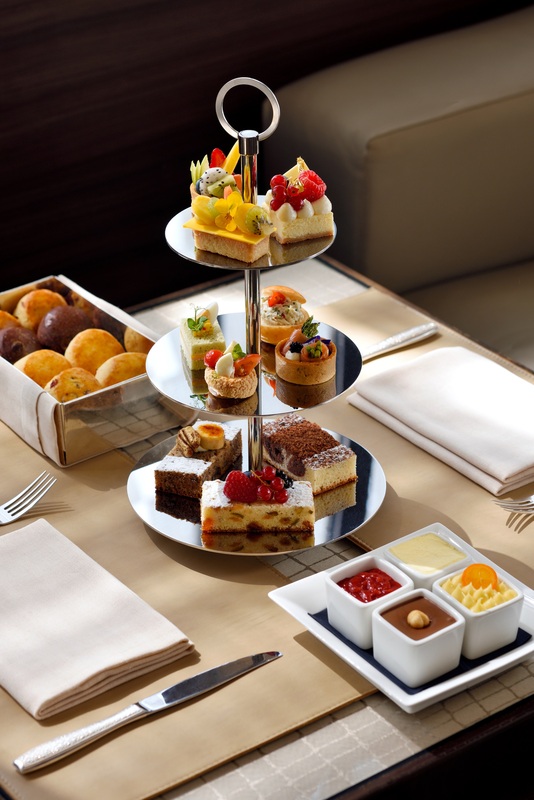 Located in the heart of Downtown Dubai, the Bijou Afternoon Tea at Address Downtown offers a tranquil escape from city life. Perfect for your next girly catchup, the selection of dishes includes sweet and savoury treats, alongside a variety of TWG tea blends, coffee or soft drinks. The Spa Serenity Afternoon Tea at Address Boulevard is offering an afternoon tea and spa package you don’t want to miss. Kick start your experience with a 60-minute massage or facial, followed by afternoon tea at The Lounge. The package also includes full access to the facilities at The Spa. The uber-glam afternoon tea at Armani/Lounge features a delicious array of treats with a 24-karat gold twist. 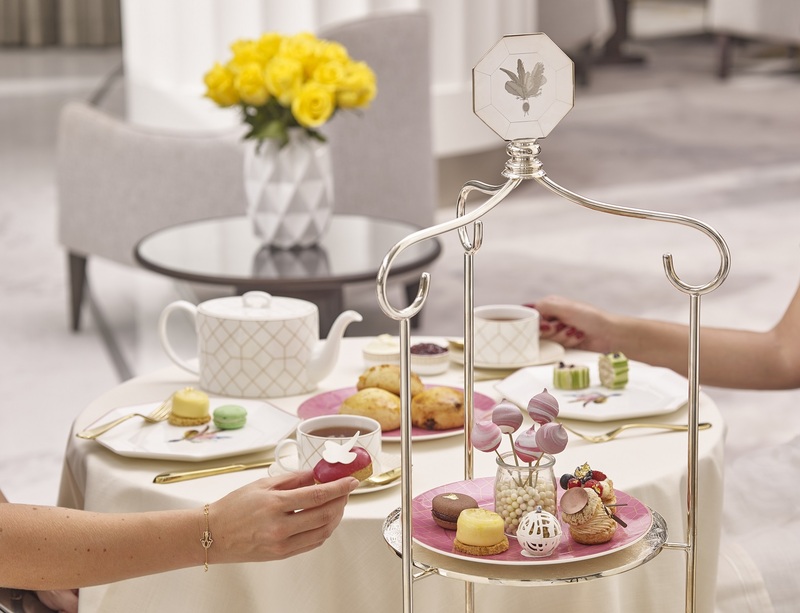 From sandwiches made with maine lobster, caviar and gold leaf to a golden Paris-Dubai choux and scones filled with golden raisins, this afternoon tea is definitely one for the luxury lovers. 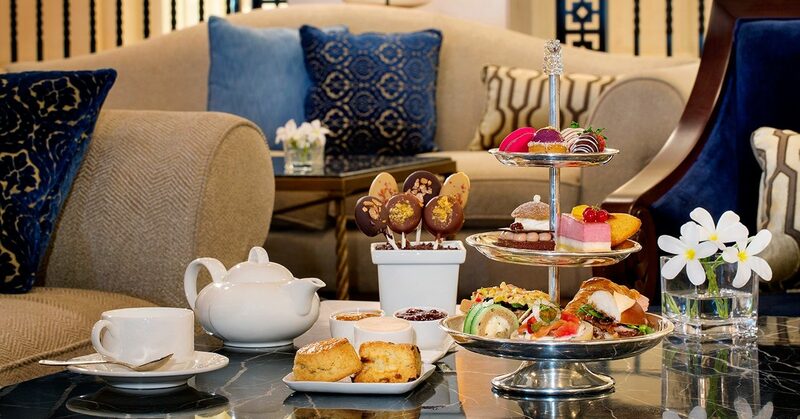 Available until September 30th, The Ritz-Carlton in Dubai Marina is offering an incredible Spa-cation and Quintessential Afternoon Tea package. 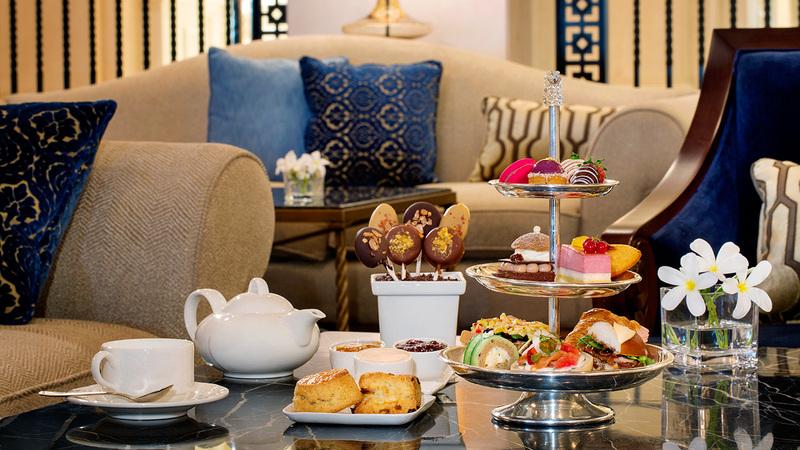 The offer includes a 60-minute massage, followed by the hotel’s signature Afternoon Tea experience in The Lobby Lounge. You’ll also get complimentary access to the resort’s swimming pools and private beach. 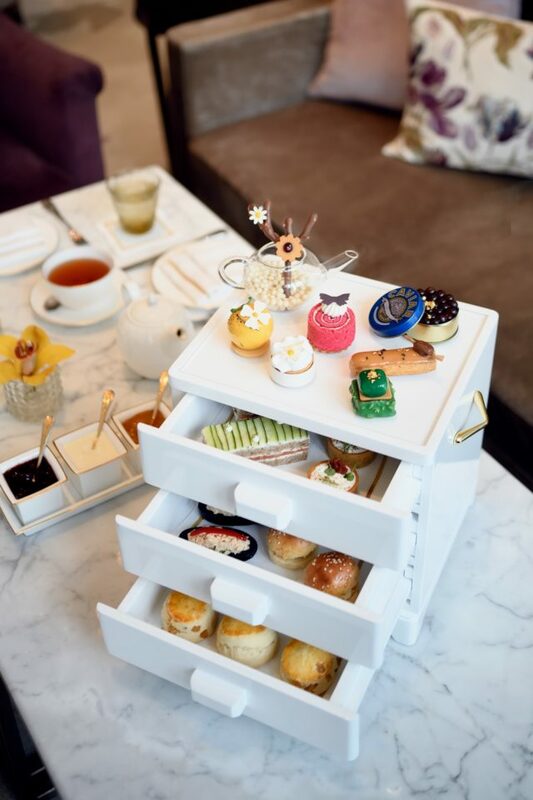 Inspired by the original Peacock Alley at the Waldorf Astoria in New York, this bespoke afternoon tea in Dubai is guaranteed to impress. Take your pick from a wide selection of teas from the tea trolley, coupled with a delicious array of sweet and savoury canapés. Read more: Check out our favourite Dubai breakfast spots right now!